A Spider-Man: Homecoming sequel is already on track for a 2019 release! 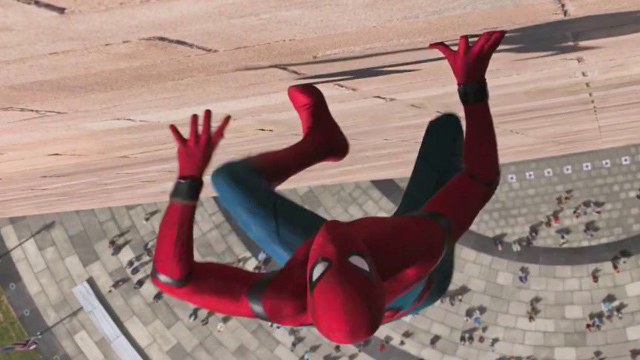 On the heels of last’s night’s Spider-Man: Homecoming trailer debut, Sony Pictures has updated their release schedule to reveal that a Homecoming sequel is already on track for a 2019 release. The Homecoming sequel, which will continue to explore the adventures of Tom Holland’s Peter Parker in the Marvel Cinematic Universe, will hit theaters July 5, 2019. As a result, the studio is shifting the release of the planned Bad Boys 4 to May 24, 2019. A third Bad Boys film, titled Bad Boys for Life, is still on track for a January 12, 2018 release with The A-Team and The Grey director Joe Carnahan (taking the reigns from Michael Bay). Thrilled by his experience with the Avengers in Captain America: Civil War, Homecoming finds Peter returning home, where he lives with his Aunt May (Marisa Tomei), under the watchful eye of his new mentor Tony Stark (Robert Downey, Jr.). Peter tries to fall back into his normal daily routine – distracted by thoughts of proving himself to be more than just your friendly neighborhood Spider-Man – but when the Vulture (Michael Keaton) emerges as a new villain, everything that Peter holds most important will be threatened. Look for Homecoming to theaters July 7, 2017. What villains would you like to see Spider-Man face in the Homecoming sequel? Let us know in the comments below!